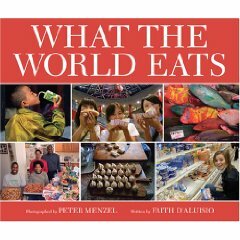 A really thought-provoking nonfiction book for kids is What the World Eats by Faith D’Aluisio, photographs by Peter Menzel. It starts with a thought experiment – imagine it is early Saturday morning, and you wake up for breakfast. What do you eat? Well, that depends. If you’re in America, you have lots of choices, like cold cereal and milk, bacon and eggs, or toaster pastries. 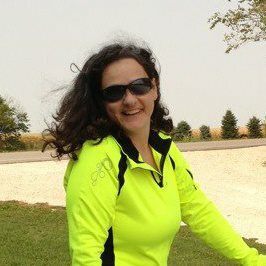 If, instead, you wake up in a village in the east African country of Chad, like Anna Mustapha, twelve (page 38), there are no boxes of ready-to-eat cereal, no cartons of milk, and no pastries from a supermarket bakery (in fact, there is no supermarket). You and your parents grow and raise the family’s food. Your meal is always the same – pudding-like porridge called aiysh and a thin okra soup with maybe a bit of dried goat meat for added flavor. But before you can eat it, the sorghum or millet grain for the porridge must be pounded by hand or machine milled, the water for it pulled from a distant hand-dug well, the vegetables picked fresh or gathered from the drying shed, and the wood or dried cattle dung collected to fuel the cooking fire. Children do almost all of this work for the family” (p. 9). The book looks at families in over twenty countries, both highly industrialized and those that aren’t. It tells its story of differences in the world’s people through words and photographs. This book reminds me of My Librarian is a Camel because it is another reminder of how easy our lives are in the Western world. Here’s a really interesting article that suggests life – human, other mammals, amphibians, birds – lasts one billion heartbeats. If you do the math and figure on 70 heartbeats a minute, that’s 100,000 heartbeats a day, which only gets you to 30-35 years. Of course, that’s pretty much what we’d be living if it weren’t for good nutrition, modern medicine, etc. This reminds me of a great book by one of my favorite children’s authors, Andrew Clements. 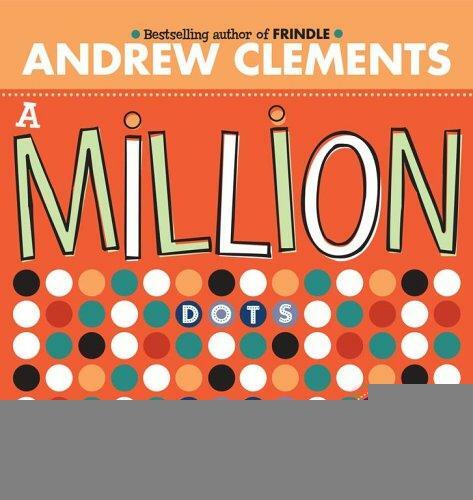 It’s a picture book called A Million Dots that visually represents what a million is. 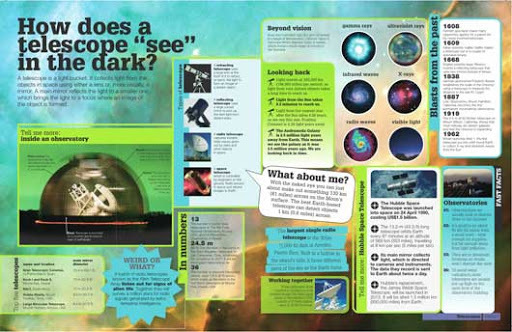 When I did my student teaching, I taught a unit on astronomy and I realized that the numbers we were talking about were so outrageously large that they really didn’t have any meaning for the fifth graders. I showed them the math on counting if you counted one number every second without stopping, ever (which of course you can’t – it takes a long time to say “nine hundred seventy eight thousand, four hundred seventeen”). I had them guess how long it would take for them to get to a billion. It would take almost 31 years! That worked with fifth graders, but for younger students, A Million Dots is a great choice. It feels like Monday today because yesterday was Memorial Day. Oh well! I thought of a favorite book I wanted to feature. I haven’t been to the library much lately as I don’t want to check out any books and lose them in the disarray of moving, so this is an oldie but goodie. If you asked me what is my all-time favorite nonfiction book for kids, 8 out of 10 times I’d say this My Librarian is a Camel by Margriet Ruurs. The author visits thirteen countries, from Azerbaijan to Zimbabwe. From the library boat in Finland to mail service in Canada, this book describes with text and color photographs how children get books around the world. More than any that comes to mind, this book truly makes me aware of the ridiculous blessing I have in being able to read books any day of the week on any subject I could possibly imagine. 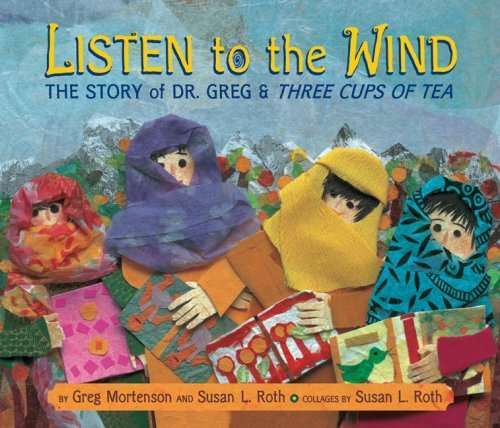 Similar titles in picture book format include That Book Woman by Heather Henson and David Small, Biblioburro: A True Story from Colombia by Jeanette Winter, and Muktar and the Camels by Janet Graber and Scott Mack. 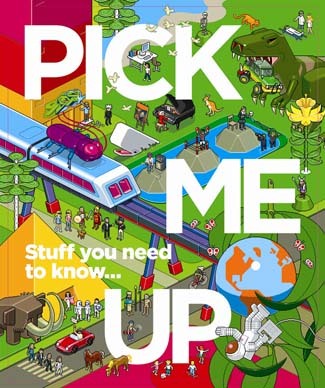 This has been around for awhile – published in 2006 – but Pick Me Up: Stuff You Need to Know has aged really well. It’s published by Dorling Kindersley but isn’t in their regular tall and thin format. This one is shorter and thicker – 300+ pages – and jam packed of yes, things you need to know. The book is worth its price simply for the graphics – most pages are done as infographics. Taken together it would give me a headache, but each individual page spread is a really good example of what 21st-century designers (and that’s everyone online) should aspire to. I need to think about revamping my online professional portfolio with these design tips in mind . . . But the information here is what children will be interested in, and there’s a lot to it. From “Why there’s nothing funny about your pee and poop,” (p. 134-135) to “Spot the odd one out” (p. 278-279), kids will enjoy this as much as the Guinness Book and learn something worthwhile while they’re at it. I know this has been out for awhile (published in 2007), but for me, 811.54 just isn’t on my radar. I think I saw this on the recently returned shelf at my library. But it goes to show that you have to get out of your comfort zone (and Dewey numbers) once in awhile. These poems are in the form of sijo, a traditional form of Korean poetry, akin to the Japanese haiku. 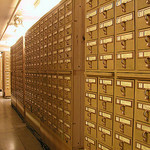 It has either a three- or six-line format (six is easier for some writers). If it’s a 3 line poem, each line contains 14-16 syllables; six-line poems have 7-8 syllables. The book includes tips on how to write sijo – I think this would be a fun diversion from the typical haiku tried in elementary school. Fro this meal, people like what they like, the same every morning. Or – warm, soft, and delicious – a few extra minutes in bed. That’s my type of breakfast! I haven’t read the adult book from which this picture book came, but I’m familiar with the story. The collage-type pictures here are darling and the story itself is a tearjerker in a good way. For this reader and maybe others, it begs the question, “What can I do in my community?” And that’s a good question to ask. I haven’t blogged in awhile. Sorry! I’m going to busy this week and next and the next doing storytimes so I’ll do some updates. But for now, here’s a spotlight on a fun nonfiction book that I found in the stacks yesterday, A-B-C 1-2-3 Craft Book: Make a Cloth Book of Exciting Learning Toys by Phyllis Fiarotta. We’re doing a crafts program this week – sort of a you want the kids out of your hair for a bit program – so we changed a Christmas display to crafts. When changing this book’s status, I saw that the poor thing had only been checked out once! It is a neat little number that shows how to make a very interactive quiet book for babies or toddlers. I always wanted to make one for my kids and never did, but maybe if I start now, I’ll have one for my grandchildren someday! (Not that there are any imminent, but crafts take me a looooong time.) I showed the book to a co-worker and she loved the book too, so she checked it out, and I’m going to get it after her. I do think this is a great example of the limits of cataloging – it’s cataloged as “soft toy making,” “toy and movable books,” and “educational toys.” If you search for “quiet book,” or “busy book,” you won’t find it – even if that’s what most moms would call it!